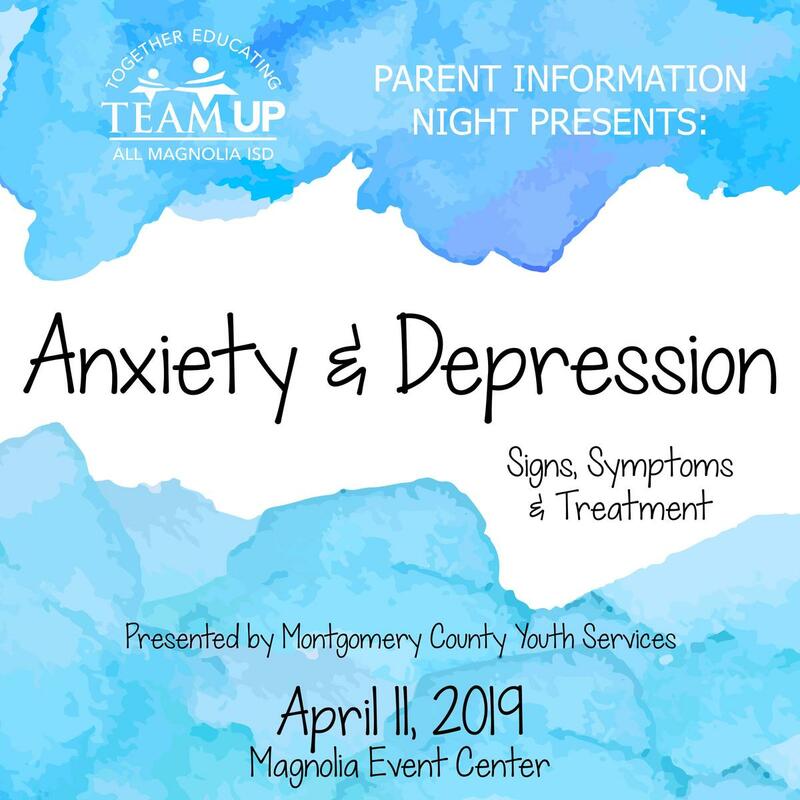 Magnolia, Texas (March 29, 2019) - As part of Magnolia ISD's TEAM UP series (Together Educating All Magnolia ISD), Yes to Youth Montgomery County Youth Services will be presenting on anxiety and depression on Thursday, April 11 at 6:30 at the Magnolia Event Center located at 11659 FM 1488. The U.S. Department of Health and Human Services report on Texas Adolescent Mental Health Facts states upwards of 44% of youth reported symptoms of depression in 2017 and anxiety disorders occur in approximately 32% of adolescents ages 13-18. 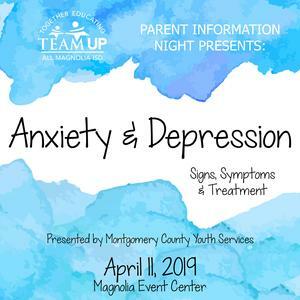 Through this workshop, parents will know more about the signs and symptoms of anxiety as well as skills and tools to help a child with depression and anxiety symptoms. Yes to Youth - Montgomery County Youth Services (MCYS) is a private, not-for-profit counseling agency committed to providing quality social service programs to children and families in crisis throughout Montgomery County. With offices in Conroe, The Woodlands, Magnolia, and New Caney, Yes to Youth - MCYS has been servicing Montgomery County since 1979, continuously working to help improve young lives.